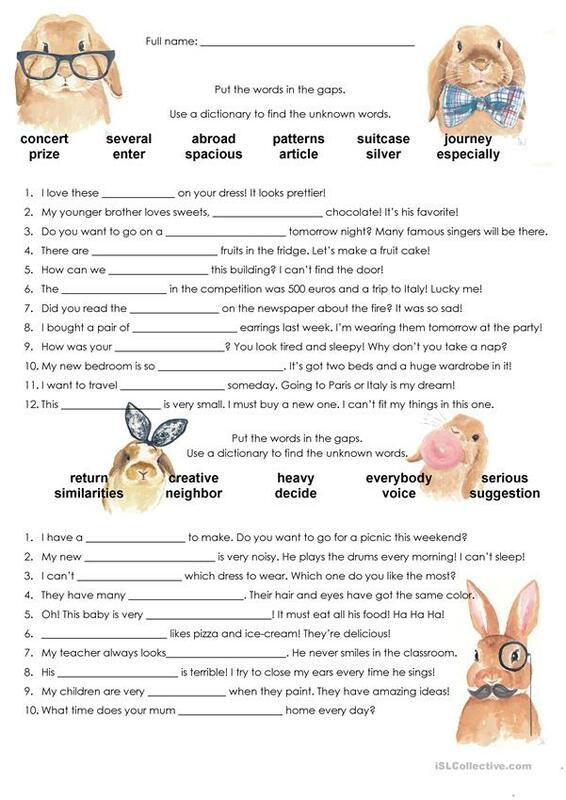 This worksheets contains 22 words which students learn in A'senior Class and have to put them in the gaps. You can tell them to use a dictionary if they have any unknown words. This printable, downloadable handout is intended for elementary school students, adults and students with special educational needs, learning difficulties, e.g. dyslexia at Elementary (A1) and Pre-intermediate (A2) level. It was designed for working on your students' Spelling, Reading and Writing skills.